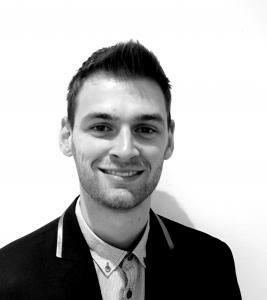 Jack is currently a Brand Manager at KFC UK & Ireland, driving change in the business from a digital perspective. Since joining the company a year and a half ago as the brand’s first digital hire, Jack has been promoted twice after overseeing projects such as the launch of the company’s new website, the digital aspects of a range of large integrated campaigns and social communications during their recent three part BBC documentary. Following on from these successes, Jack is now the Digital Marketing Lead for a number of projects that have the potential to be groundbreaking for both KFC and the QSR industry. As a result Jack has gained recognition from his peers in the Marketing Team as well as the Global CMO. Prior to KFC, Jack worked at Red Bull. He started off as a Student Brand Manager at the University of Leeds before moving on the Red Bull Global Graduate Programme. Jack worked as part of both the Brand and Digital Teams in the UK as well as in the International Advertising Team at Red Bull HQ in Austria. One of a number of highlights was the digital delivery of the most successful Red Bull UK marketing campaign at the time (strongest ROI); their 2012 UK F1 campaign. Alongside this role, Jack also completed an MSc in Sales and Marketing from Steinbeis University (Berlin) which gave him the opportunity to travel and study at various locations around the world.